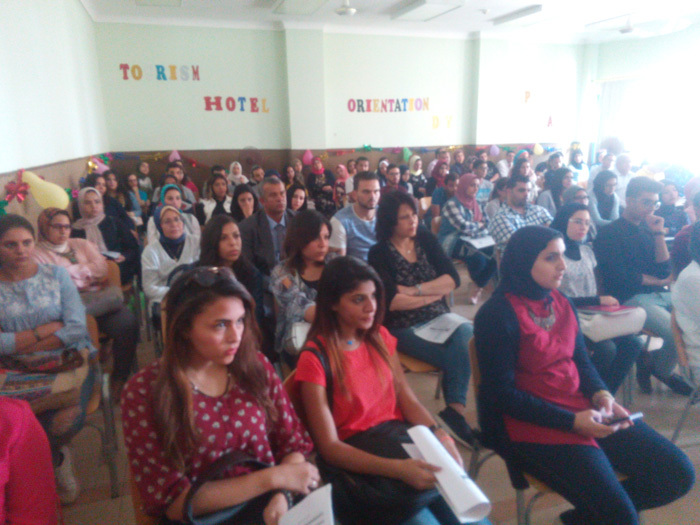 The faculty of Tourism and Hotel Management hosted an orientation session for the faculty newly enrolled students on Monday 25/9/2017. 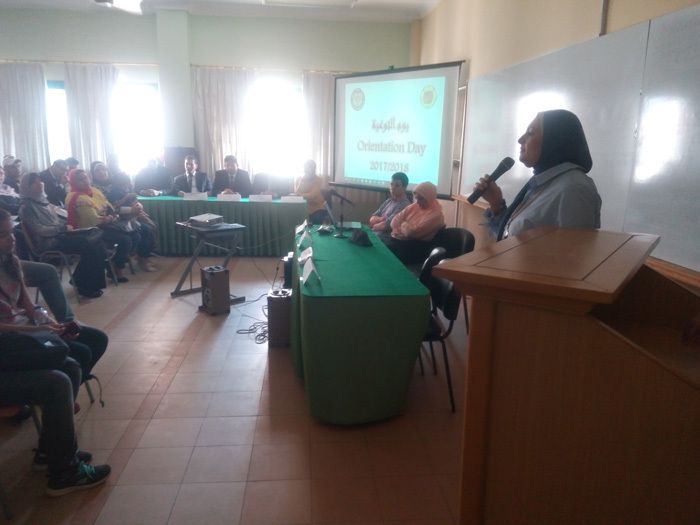 Prof. Amany Refaat, the Dean of the faculty, gave a word at the outset of the session in which she welcomed the new students and their parents before she introduced the faculty members and teaching assistance staff to them. 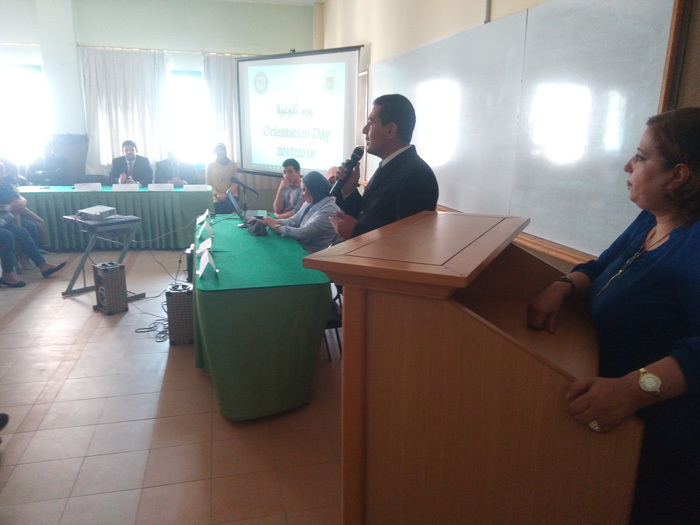 Then, the Dean passed on some pieces of advice to the students on the basics of success. 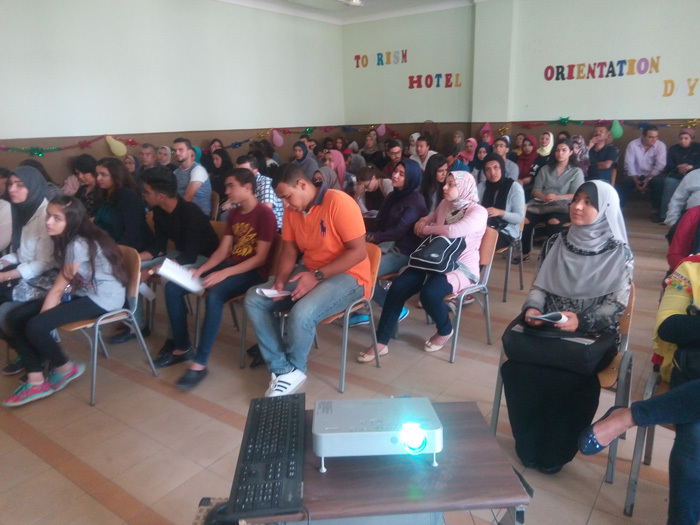 A considerable number of the faculty students from different departments and classes participated in this orientation of the faculty and its activities. 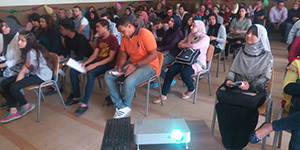 At the end of the day, the new students were taken in a campus tour of the faculty facilities.